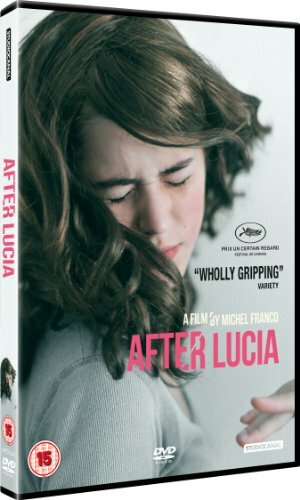 I'm not sure what's more shocking - the lack of UK theatrical release for Mexican director Michel Franco's 'After Lucia' (original title: 'Después de Lucía') or the film's jaw-dropping intensity. A distressing exploration of a father and daughter, caught between bullying and grief, 'After Lucia' deservedly came away with the Un Certain Regard prize at Cannes Film Festival last year. Following the death of his wife, Roberto (Hernán Mendoza) and his teen daughter Alejandra (Tessa Ia) move to a new city, hoping for a new beginning. Roberto finds the move particularly difficult, barely composing himself as he struggles to overcome his continual grief. Meanwhile, Alejandra initially finds a group of friends at her new school before bearing the brunt of a sustained, horrific campaign of bullying. The extent of the bullying that Alejandra suffers is extremely unsettling, and the manner in which Franco marshalls his excellent young cast into such situations is both incredible and troubling. The sense of realism created is similarly quite remarkable and often quite repugnant. As the situation develops, the relationship between father and daughter fails to progress. They trade their words for actions, with Roberto succumbing to his rage and Alejandra opting for complete submission, before an overly melodramatic and seemingly unrealistic ending. 'After Lucia' is an affecting film that unfortunately suffers from its ending, which surprisingly proves less believable than the horrifying teenage behaviour on display during the film. Tense and disturbing, 'After Lucia' is a powerful insight into human nature that will unsettle viewers in a manner matched by few other films. 'After Lucia' is out on DVD today, and is available to purchase from amazon.co.uk.